How to travel with your birds? When the holidays are approaching, many people begin to wonder how to travel with their pets, either by car, motorcycle or plane. Although dogs and cats are the most 'traveling' companions, birds can also accompany their owners. We'll see now Some tips to travel with your birds safely. It is important to consider the character of our colleagues before subjecting them to a change of environment and habits. This applies to all species, including domestic birds. Each animal species and each individual have their own physical and behavioral characteristics. A bird will not have the same character as a dog, and each bird shows unique aspects in its way of being. All these aspects are important when deciding to travel with your birds or leave them under the care of other people. If your bird has a sociable character and presents a good physical resistance, taking it on vacation with you can be an excellent idea. But when it comes to a delicate or less sociable bird, a change of environment or customs can harm their health and behavior. It is necessary to analyze well if it is a responsible and safe decision. If we are not sure about the character of the pet or its specific needs, it is best to consult a specialized veterinarian. The professional can guide each owner in the decision to take or not your pet on vacation. After deciding to travel with your birds, the first step will be to ensure their safety and comfort throughout the journey. The safest way to transport your bird is to acquire a cage or a carrier. There are several options available in pet stores, and it is important to choose the most appropriate for your pet. To guarantee a good decision, It is essential to consider the size, behavior, age and health status of your bird. 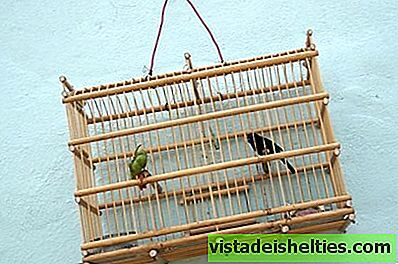 Having chosen the ideal carrier, it is time to condition it for the welfare of your bird. 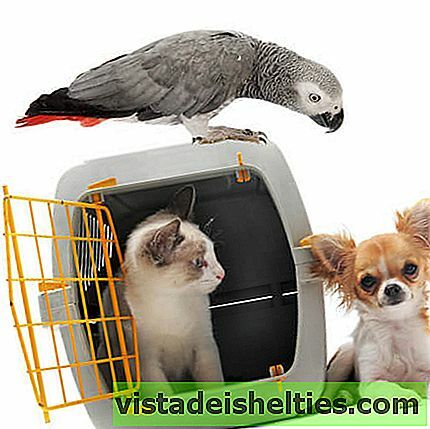 Your pet will spend long hours in this environment, so you must find ways to entertain and fulfill your needs. In addition, on a long trip by car, a feeding trough and drinking fountain will be important to avoid dehydration. When we are authentic travelers, any place is able to offer us the perfect opportunity to expand our knowledge and entertain us. But if we travel with our pets, we must be somewhat more cautious in the choice of our destination. Not all species have a great adaptability and the sudden change of environment can be very harmful. To choose the most suitable place for your bird it is important to consider the climate, humidity, space available, the presence of other animals, etc. On the other hand also it is essential to think if we will have enough time to take care of our pets during vacation days. Traveling with your birds implies a lot of responsibility and specific care to preserve their well-being. It is not a healthy option to take your bird with you to leave it alone all the time. Adaptation is a gradual process and each animal has its own time to feel comfortable and safe in a new environment. Before traveling with your birds, it will be essential to reserve a few weeks to carry out their adaptation to the carrier. This process requires patience and positive reinforcement from each owner. At the beginning, the ideal is to leave the bird inside the carrier for just a few minutes (or seconds, depending on the reaction of the animal). Then, we reward his good behavior with a treat of his choice; Little by little, the bird will understand that this environment is safe. Before traveling with your birds, it is essential to consult the veterinarian to confirm their health status. It will also be necessary to understand that Preventive medicine needs to integrate the routine of every pet. Regular visits, every 6 months, to a specialized veterinarian. Complete and balanced nutrition according to the nutritional requirements of each species.